We at Aquarius Pools & Spas know the difference between VRBO / Airbnb homes managed by the home owner, and a rental home managed by one of the large rental companies. We pride ourselves on communication with homeowners and renters along with superior pool cleaning service and guaranteed quality repairs. Our flexible check in and check out cleaning schedule makes for an effortless transition for your renters even if you don’t have the standard weekend to weekend rental schedule. Being a small independently owned OBX pool cleaning business ourselves, we know the benefits and the repercussions of the quality of reviews your renters post. 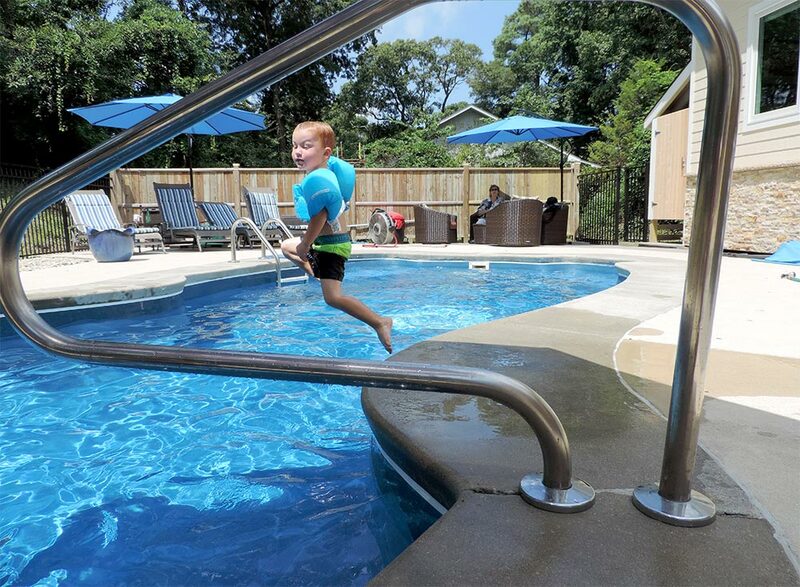 That’s why we always go the extra mile for the VRBO and Airbnb renters to make sure their pool and spa experience is the best they have ever had on the OBX. Our team of cleaners and repair techs are all certified and genuinely friendly people to have working for you and your guests. Below is a quick summary of the work that transpires on each of our pool service visits.